Trusting God to help us build a Rock Solid Family one pebble at a time. 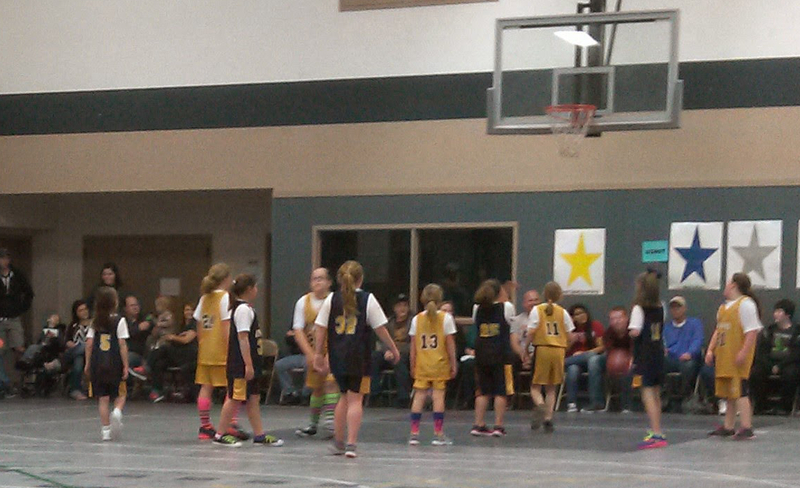 My daughter, Hannah, is the one wearing the gold number 11 jersey and playing for the Lady Tigers in Upward Basketball this year. You all are probably wondering what we’ve been up to since the January 1, when I last updated my blog. Well we’ve been pretty busy. There was a time in my life that I would have never pictured myself as a sports mom. Now you can see me at games yelling at the top of my lungs for my kids whenever they have the ball or are just doing something well. “Go, Hannah!! !” “Go, Jonathan”. “Yea!!!! !” “WoI’ve gotten so into these games that I even yell for their team mates when they get the ball. If you want to hear what I have to say about sports including a story about Hannah’s love of Sports you can check out my post over there right now entitled “For the Love of the Game“. You may think that I’ve quit writing for all the traveling back and forth to practices and games but I haven’t. 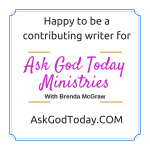 I’ve joined a team of writers over at Ask God Today ministries. We write on different topics. In January we wrote devotionals through the book of Matthew for an email “Way in, Dig Deeper Into God’s Word” 21 day challenge. You can scroll through some of the great posts written by the great team of writers. I wrote 3 email posts in January. I wrote “Digging Deeper into the Heart” from Matthew on January 8, “To Judge or Not to Judge” January 17, and “The Cost of Following Jesus” on January 24. From now on whenever I write a post for Ask God Today, I’ll write a quick post here telling you about it. Feel free to check out what we’re doing over there and if you want to read my post today “For the Love of the Game” you can click this link or the picture of Hannah’s game above. I’ll be keeping an eye out for comments over here and over on the Ask God Today site as well. I’d love to know what you think. Are you a sports fan? Did you watch the Superbowl? If you did who won? What was the funnest game you have ever watched? Tell me about it in the comments below. Oh and if you are curious my daughter’s team won their game on Saturday and that was probably the funnest game I’ve watched yet. Who are you talking to? Don't Miss a Post! Sign up for our free email updates. A Contributing Writer of . . . Copyright © 2018 Rock Solid Family All Rights Reserved. Need encouragement for building your own Rock Solid Family? Join us and receive encouraging posts and our FREE eBook "Don't Quit: Build a Legacy of Commitment" today!